Nice shots! I am completely inspiration-less lately when it comes to the Daily Shoot. In part due to - once again - wet, gray, ugly weather... Ah well... the sun is supposed to come back out this week, so hopefully that'll inspire me to get some shots in! I love the first picture! And he looks a bit pensive in the second. I'm sure he's thinking about and waiting for that treat!! Man, he is literally glowing! 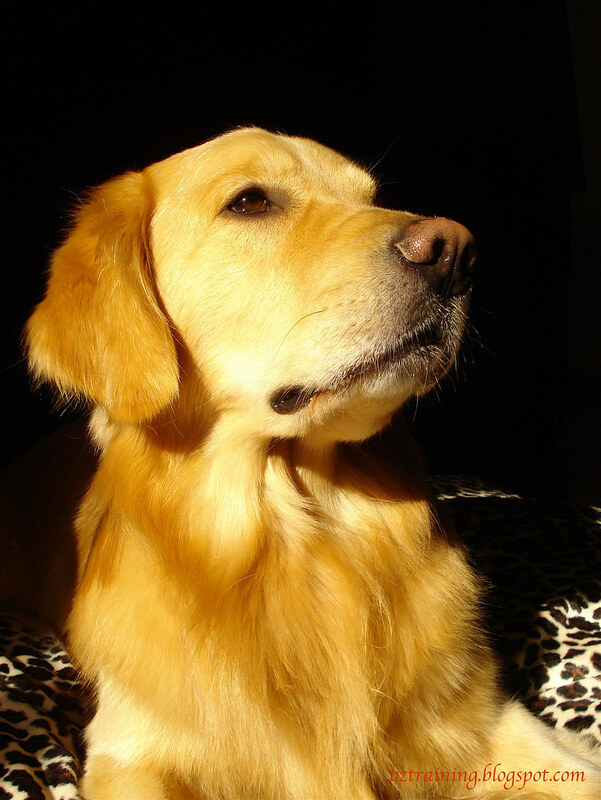 Goldens are so beautiful in general, but this glowing picture makes Zachary look even more handsome than usual!! Hi Beau & Zachary, nice to meet you two. I found you in Anna the GSD's blog. My oh my, I love how gold your coat looks with that sunlight shining on ya! 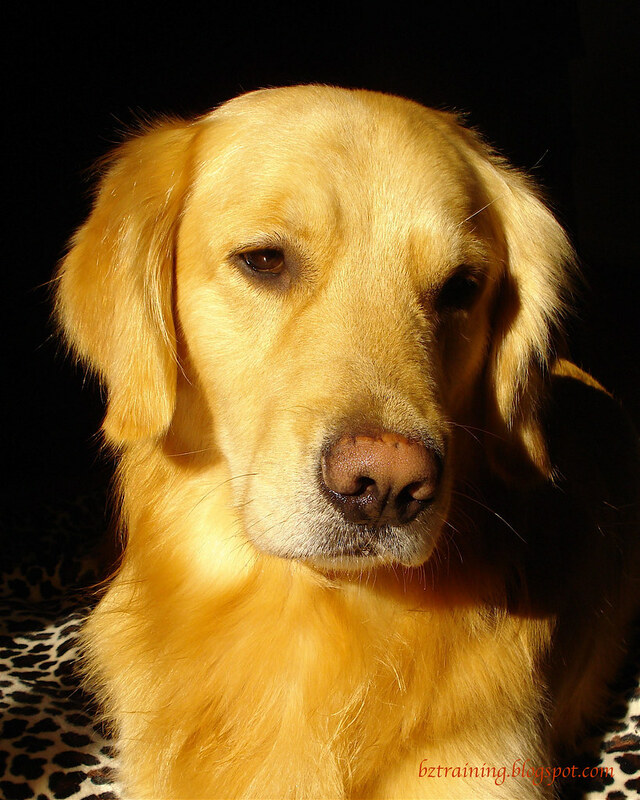 It's beautiful & you're one handsome Golden Retriever. Beautiful photos - I like the top one too. I agree with you, I like the top one, too! Not just for the color, but because of the pose, too. If there was ever anything that glowed, it would have to be a Golden!